Syntagma square is the one from the two central squares of the capital (the other is Omonia square). Syntagma constitutes the heart of city. Here, is found the Parliament of Greeks. Here, are the beginnings of the central streets of the city (Amalias, Vas. Sofias, Panepistimiou, Stadiou, Ermou, Mitropoleos, etc.). Also, in the region you can see the National garden, Zappio, ect. The square of Syntagma is the starting point for the tourists who want to Known the monuments of Athens. 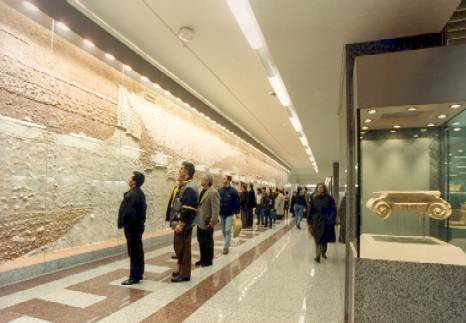 The metro station of Syntagma characterized from its decoration that it is adorning with beautiful creations of Greek artists and it is one of the most busiest stations.